You’ll be ‘decorating’ the dining room with half-eaten rusks and blobs of pumpkin puree, so make sure you keep the rest of the space ‘minimalist’. 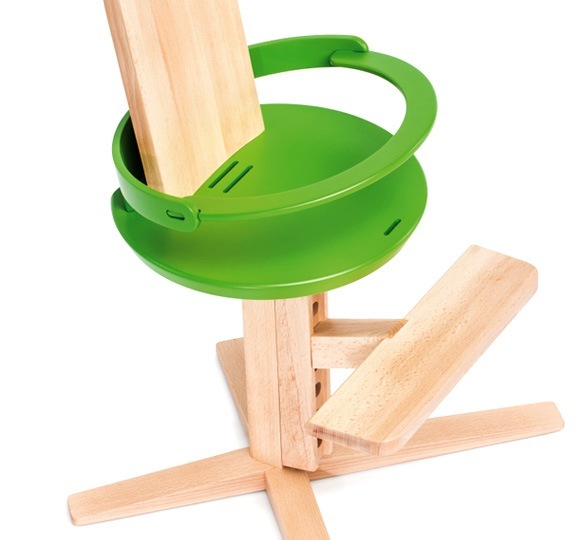 From Slovenian design studio Froc, comes the simply styled Froc highchair. I’m not sure if it’s the blond wood or the bright pop of green, but the Froc chair has a distinctly Scandinavian-retro-aesthetic. And we’re loving it at Babyology! 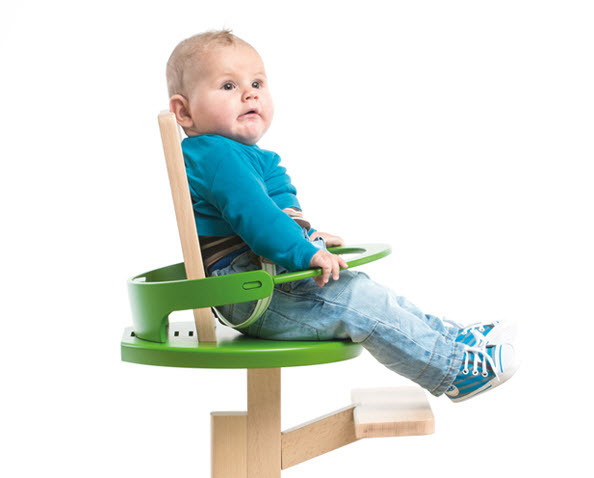 The chair ‘grows’ with your child, transforming from a highchair suitable for babies six months and over to an adjustable regular chair for children up to age eight. 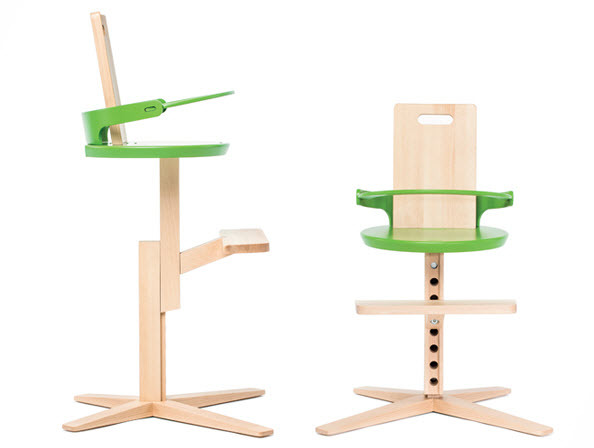 Froc is available in a range of colours and costs €249. Froc deliver internationally.